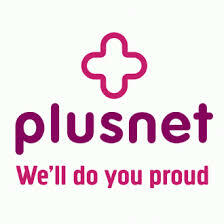 Plusnet Mobile let you get the data bundles and talk plans you really want at a low cost. This doesn’t mean the service is any way lacking, not by a long shot. They use the EE network to give you 99% UK coverage and reliability. They offer a handy Smart cap feature so you never go over your monthly spend and they even let you tether your laptop or other devices to your data plan at no extra cost. Check out the latest Plusnet mobile pay monthly deals below to see what you could get. Compare the latest and best Plusnet Mobile Pay Monthly deals available right now using our handy comparison table below. When you find one you like, just click Apply Online to sign up. Plusnet mobile uses the EE network providing UK wide network coverage that is reliable and fast. The Plusnet network is a favourite amongst most as its Smartcap feature allows you to set a cap is you know you’ll never go over your budget. Their plans come with rolling 4G contracts allowing you to access superfast download speeds to browse, surf and stream on the move. Why not check out the latest Plusnet Pay Monthly deals using the table above.